Meet Barbara White, one of our most active members and a wonderful person. She used to have an awesome job as a production department manager and is now on disability following fibromyalgia. Her advice to families, friends and doctors of those with fibromyalgia is worth giving a thought. Do read her entire story and thank her for sharing this with us. What's your story? 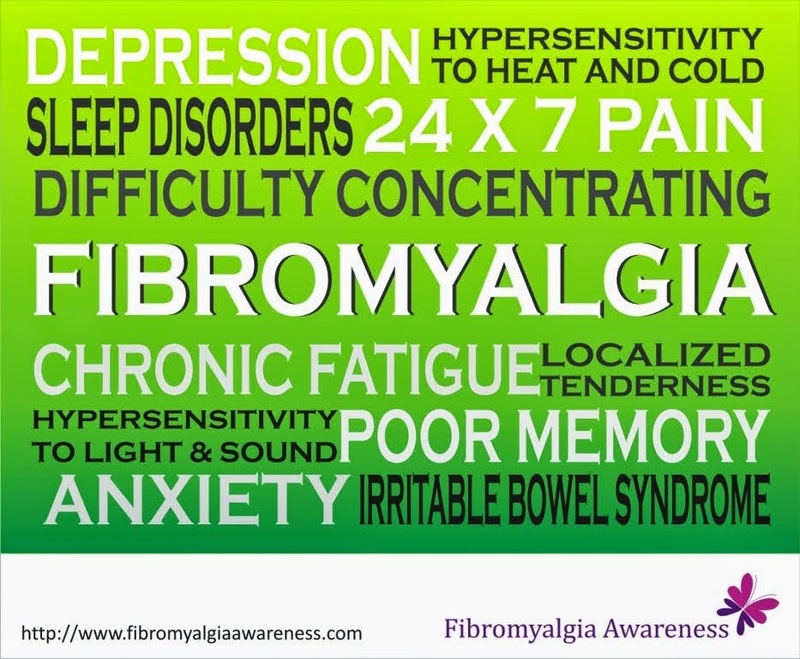 How and when were you diagnosed with Fibromyalgia? Were you misdiagnosed at the start? I have had chronic back pain for 27 years. I have had osteoarthritis in both my knees for 18 years, with multiple surgeries. I was in a car accident in 1994 and suffered a herniated disk in my neck that has plagued me ever since. In 2008, I moved to a new state and it was just about the time the economy tanked here so finding a new job was not as easy as it should have been with my work experience. I was out of work for months, landed a job and got laid off after only five months and have been out of work ever since. I had no health insurance at this time and with no income, I had to tough out the usual pain. I began to experience severe burning and tingling in the front of my right thigh. It got so bad that I could only find comfort stretched out on my couch. It didn't go away. Then I began experiencing such severe pain in my neck and shoulder that I needed assistance in getting in and out of clothes, shampooing my hair became near impossible, even wrapping a towel around me was excruciating. I did a lot of research and when the pain became unbearable I borrowed money to go to a doctor. He gave me pain meds but knew I couldn't afford tests. When this went on for a year, I filed for disability because I knew there was no way I could go back to work like this. The doctor helped with the paperwork but when I mentioned Fibromyalgia he just told me that there wasn't enough information out there yet and dropped it. I ended up changing doctors eventually and once my disability went through and I got insurance, my new doctor ran a battery of tests and blood work on me and told me I was a classic case of Fibromyalgia. How would you describe your pain and what kind of symptoms do you face regularly as well as occasionally? I have joint pain, nerve pain and disk pain. The nerve pain in my feet is horrible. The nerve in my right hip/thigh (meralgia parasthetica) gets so hot and painful that I have to lay flat. The symptoms I have besides the pain are insomnia, irritable bowel syndrome, blurred vision, depression, chronic fatigue,sweating, weak legs, brain fog, to name a few! Do you have any other medical conditions along with fibromyalgia? High blood pressure which is under control with medicine and depression. How has your life changed with Fibromyalgia? I hate that I can't do anything. I can't climb stairs, walking any distance is not possible. I can't go shopping anymore. Driving isn't always possible because of the meds I take. I cannot stand for more than a couple of minutes before the pain is so severe I start sweating profusely. What I hate most is that I cannot plan anything. Most of the time, I have to cancel if I have plans to do something. How has fibromyalgia affected your relations? There have been times when it has been a cause for arguments. Before the diagnosis of FM, my boyfriend used to think I was just being lazy. He's more understanding now that he realizes why. How has fibromyalgia affected your career? The last big job I held was a very lucrative one. I made good money as a single woman, could afford to do things, go places when I felt up to it. Now, between the loss of the financial comfort and the fact that I couldn't possibly do the job anymore because my concentration and physical abilities aren't what they once were, I do feel insignificant. What kind of specialist you are consulting? I see a rheumatologist now. Has your medication changed over the years? What medicines you are having now and are they helping? I was always on some type of opiate pain medication but I only take them when I absolutely have to. At one point I was placed on Elavil and it caused me to sleep constantly with very bizarre dreams. Now I am on Lyrica and it helps the nerve pain tremendously. I am also on hydrocodone for the other pain. Again, I try not to take those unless I'm really unable to cope with the pain. Have you tried alternate therapy? Did it help you? I used to get regular deep tissue massage when I was working and it helped keep the pain down. Unfortunately, I cannot afford them now. What are your personal tips for relief? Rest, hot showers, comfortable shoes, moist heat packs, sitting in my recliner helps a lot, going to the beach and sitting in the hot sun feels good on my legs and knees. Do / Can you exercise? What exercises do you do? Do you meditate? I really can't exercise at this time. I hate getting the "lecture" from the doctor about exercise because I know he doesn't understand even though he is a rheumatologist. I do meditate but not regularly. If I can't get to sleep I do put on new age music and perform deep breathing. Have you changed your diet / gone gluten free and did it help you? What would you like to say to people who know someone with fibromyalgia? Don't judge them and be a little understanding that you "don't" know how they feel. What would you like to say to doctors? Stop telling us how we should feel and what we should do and listen to us. Start understanding more about the illness and that every person feels differently from it. What relations and activities makes you feel better? Facebook is where I chat with my many friends around the world and also where I belong to this wonderful support group. 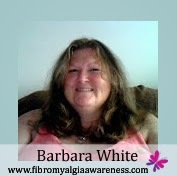 When did you join the Fibromyalgia Awareness blog www.fibromyalgiaawareness.com / the blog's Facebook Page? What do you think about our awareness initiative? I have only belonged to both for several months now. A Facebook friend sent me the link to the group page and I am so grateful she did. I have learned much more there than I have from medical websites and articles. It's the people living with it that are able to relate to what you feel. Interview published on 22nd November 2013. This blog and its owner have the rights to this interview. Do not copy the interview on your website / print / publish elsewhere without our prior approval that includes the approval of the interviewee. However, you can share the link of this interview to help us raise awareness. The opinions in the interview are solely of the interviewee and we do not advocate the use of medicines / drugs, if any, mentioned in the interview. Kindly consult your doctor before starting any therapy or medicine mentioned here. We hope you Like and Share our Facebook Page. Fibromyalgia (FMS), one of the most complicated syndromes, affects every patient differently. We bring to you the real stories of Fibromyalgia Patients from across the world. Every patient's story is a source of learning and inspiration. These stories serve many purposes like helping us understand the condition and symptoms better, helping people with similar symptoms get diagnosed in time, finding tips that work and making the 'Invisible Illness' visible so that sufferers are saved from the stress of making people understand that they really are unwell.